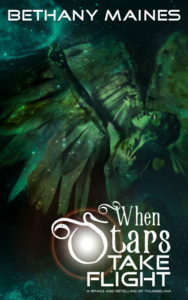 FAIRIES, MERMAIDS, & SPACESHIPS... everything strange & awesome. Think you’re alone in this city? Think again. Goblins, faeries, vampires, and werewolves are all clawing for their piece of the American dream in Tacoma, Washington. Ariana Grace is not just your average antiques dealer. This half-faery can sell you all the best “assets” – a great sense of humor, a new memory, or just the right amount of luck. If your problem seems impossible, if no one else can help, then Ariana Grace might have just the right asset for you. But be warned – magic has a mind of it’s own – everything may not go as you planned. – The Dragon Incident, Spells of Murder, and The Devil’s Invitational have all been collected into one volume featuring five additional tales that reveal more about your favorite characters! 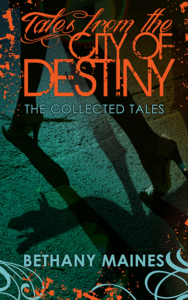 Follow Ariana through 8 tales of mystery, murder, and adventure as she shows us just what’s lurking in Tacoma’s alley’s, pool halls, and brothels. >>Learn more about The City of Destiny! His duty. Her secrets. The mission that brings them together will tear them apart. In the steamy jungle of 1960’s era Vietnam, when a team of Navy SEALs are brought together with a pair of reporters, no one is prepared for the explosive secrets their encounter will reveal. Lt. Ben Kolley, former WWII frogman, leads one of the first teams of Navy SEALs, including the elusive point-man with an uncanny sense of the water – Catch. The reporters, a drunken writer, and Kahele, a female photographer with dark eyes and an even darker secret are the first allowed to interview a SEAL team. But neither Kahele or Catch are prepared to discover an attraction for each other that’s like nothing they’ve ever experienced. Soon, Catch is breaking all the rules to be with her, and Kahele finds herself entangled by a passion she’s never felt before. But for Ben, Kahele dredges up horrifying memories of an old mission – one where not all of his team returned. Can Kahele be trusted or is she the monster Ben fears? The clock is ticking, and soon all their lives may depend on Ben. A steamy romance … resulting in a giant twist. Compelling with great characterizations. Fascinating story. Full of intriguing characters and a plot that kept me turning the pages. The pace moves quickly with good plot twists. A recommended read. Alliance Ambassador Lina Tum-Bel knows she’s up against a galaxy full of trouble as she attempts to rebuild the Interstellar Alliance, but she never thought a simple mission to reconnect with the space bases of Nebula Six would have her fleeing for her life with an army behind her. Kidnapped by the To’Andans, tortured by the Moliter, and rescued by Sparrow Pandion—the spy who hides a secret pain—Lina must battle for her freedom, her survival and her heart. Her training says that she can’t trust her handsome rescuer, but her telepathic gift says there is no one she can trust more. Maybe together, she and Sparrow can learn to fly. >>Learn more about Galactic Dreams! Keelia Black, seventh child of the Swan Clan, has been captured, silenced and imprisoned by Fang Nazari, undisputed queen of a fantastical asteroid base. 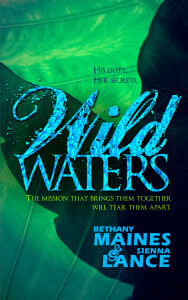 Keelia’s only hope for escape may be Jericho Nazari the step-son of her captor. But Jericho, forced to mine for a malevolent artifact by Fang, fears that they are pitted against a fearsome evil that will drive Keelia mad. For Keelia and Jericho the only chance at freedom may be battling being powerful enough to destroy the universe. 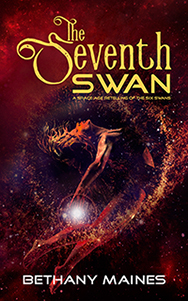 The Swan Clan is searching for them, but for the Seventh Swan it might not be enough.